Please note that the court has extended the deadline until Monday, October 31, 2016. The proposal is designed to address the uncertainty created within the Business & Professions Code in 2015 about whether the State Bar could continue to publish the names of applicants who passed the California bar examination and share information with other jurisdictions, law schools to meet compliance requirements, and the National Conference of Bar Examiners. Language to clarify section 6060.25 of the Business & Professions Code was contained in both the Assembly and Senate bills to authorize State Bar fees, but neither bill was enacted. 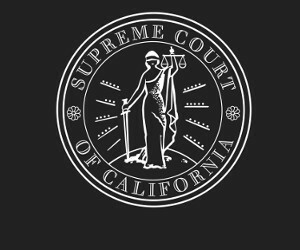 Under the California Constitution, the Supreme Court bears the ultimate responsibility and authority for determining the issue of admission to practice law in the state, and the proposed new rule is intended to facilitate the ability of applicants to demonstrate they qualify for licensure and to ensure the proper functioning of the admissions process. (1) The names of applicants who have passed any examination administered, given, or prescribed by the Committee of Bar Examiners. (2) Information that is provided at the request of an applicant to another jurisdiction or entity where the applicant is seeking admission to the practice of law. (3) Information provided to a law school that is necessary for the purpose of the law school’s compliance with accreditation or regulatory requirements. (4) Information provided to the National Conference of Bar Examiners or a successor organization in connection with the State Bar’s administration of any examination. Disclosure of any of the information set forth in subdivision (a) shall not constitute a waiver of the exemption from disclosure under Section 6254.5 of the Government Code.